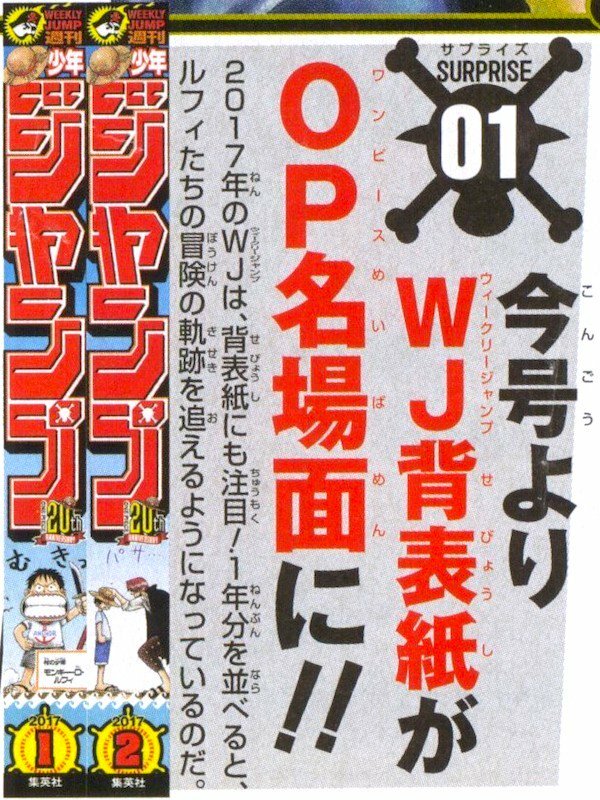 One Piece began its manga journey on Shonen Jump on the 19th of July 1997. Eiichiro Oda began his journey with Luffy then grew the Straw Hat to many more other fantastic characters. 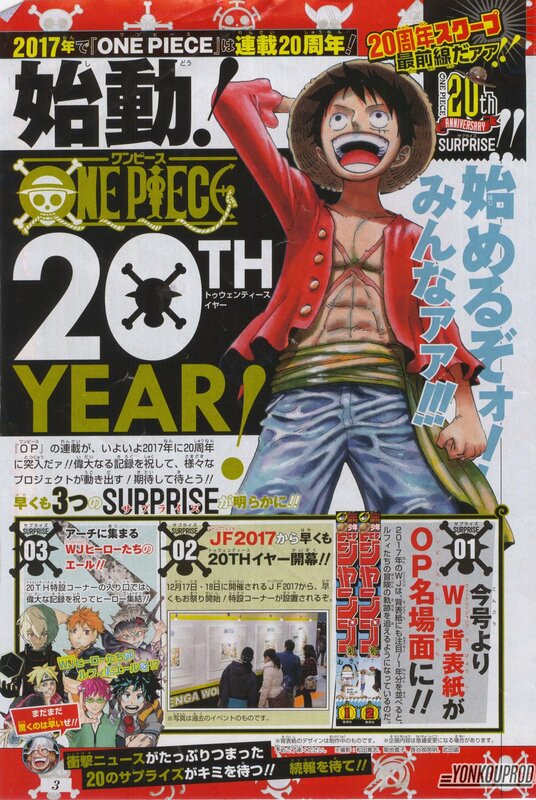 The manga will be turning 20 years old next year. Next year will be full of surprises, as it’s being planned. The first include little drawings on the magazine’s spine which shall feature mini-chronicle of the series’ development. Furthermore, you can see the small announcement and spine that can be seen in the image below. At the bottom, you can see the first and second spines. 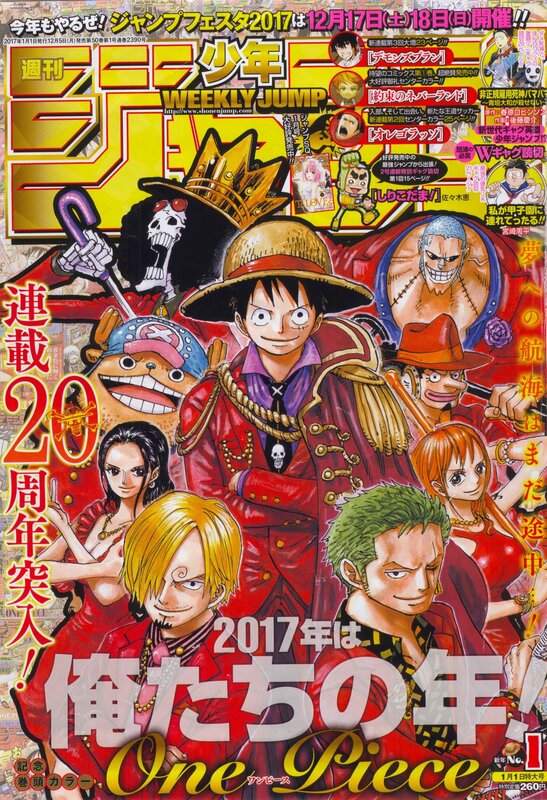 On top of that, you can see the first Shonen Jump issues of 2017 below, featuring the Straw Hats right in the middle, looks fantastic. With that said, what do you think? I’ve nearly caught up with the anime, and will begin reading the manga after that. Be sure to comment down below telling me what you think about the year ahead. 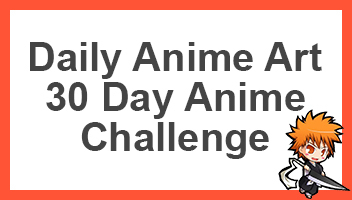 One Piece never falls to surprise me I heard it is 65-70% complete already, so we have years to enjoy it. Yeah, I heard the same. I’m glad that it’s got so much left still.